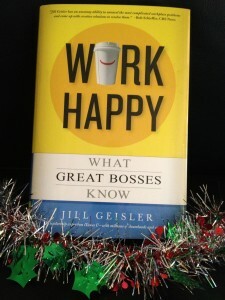 Jill Geisler's book for extraordinary leaders and productive, happy workplaces. Business Challenges, Potential Problems: What Should Managers Share with Staff? Your business is facing some ups and downs -- maybe more downs than ups. Your job as a manager is to navigate those rocky times, protecting the health of the operation while taking care of your staff. That's a real challenge facing many of today's managers. 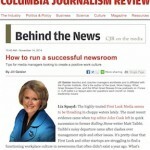 It's certainly the case in the world of journalism, which is why the editor of the Columbia Journalism Review made it the focus of my column this month. She asked me some good questions about how much information managers should share with staff. As you know, that's a complex issue. Share too little and you are unfairly keeping them in the dark. Say too much and you may reveal sensitive business strategy or trade secrets. So, in this article, I lay out what managers should do and say. I also remind managers about the impact their mood and emotions can have on a team - and even the quality of the work your people produce. Hope it's helpful for you - in good times and bad. 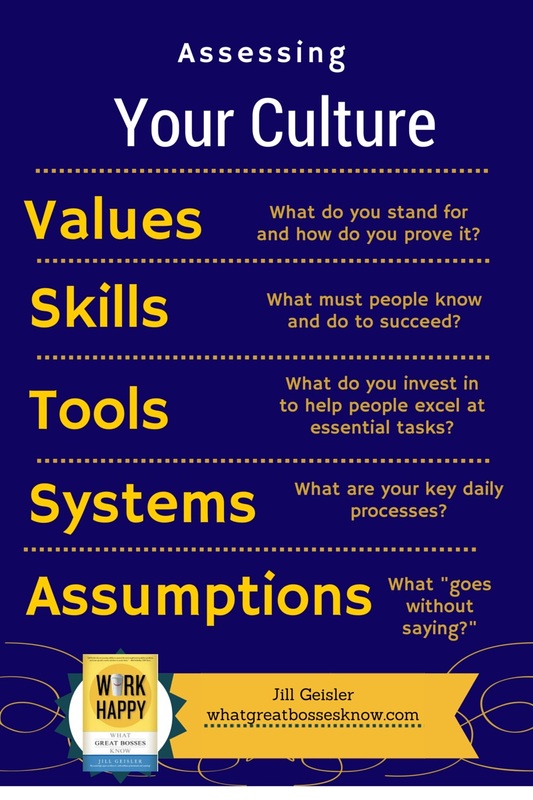 You may have heard variations of the phrase "culture eats strategy." Some say it's eaten for breakfast, some for lunch. No matter. The real meaning is that whatever the brilliant initiative you may have dreamed up for your group, it will fail if the culture doesn't sustain it. Culture trumps all. It's one of the key things I teach to managers. Right now I'm helping a friend, a leader who's been asked to help others understand how he changed a culture. He's supposed to teach it in a workshop, but needed insights into how to do more than tell some stories. You see, what he's done was so instinctive to him that it's been like breathing. He knows he does it, but can't necessarily describe the intricacies of the infrastructure behind it all. That's why I helped him break his success down into smaller parts, so others can see the many decisions, the points of entry, the continuous effort and reinforcement in a variety of categories that have to take place to create and sustain a successful culture. The list you see on this page is the framework I gave him, and now he's happily filling in the important details. I'm also working with an organization that wants to strengthen its culture in key competitive areas, so I am using the same assessment tool I developed for my friend. Out of all of aspects of culture, do you know which one I believe is the most overlooked but essential? It's "assumptions." I learned that from applying the ideas of organizational culture expert Edgar Schein, who says culture is comprised of artifacts (the things we see), espoused values (the things we talk about) and assumptions. 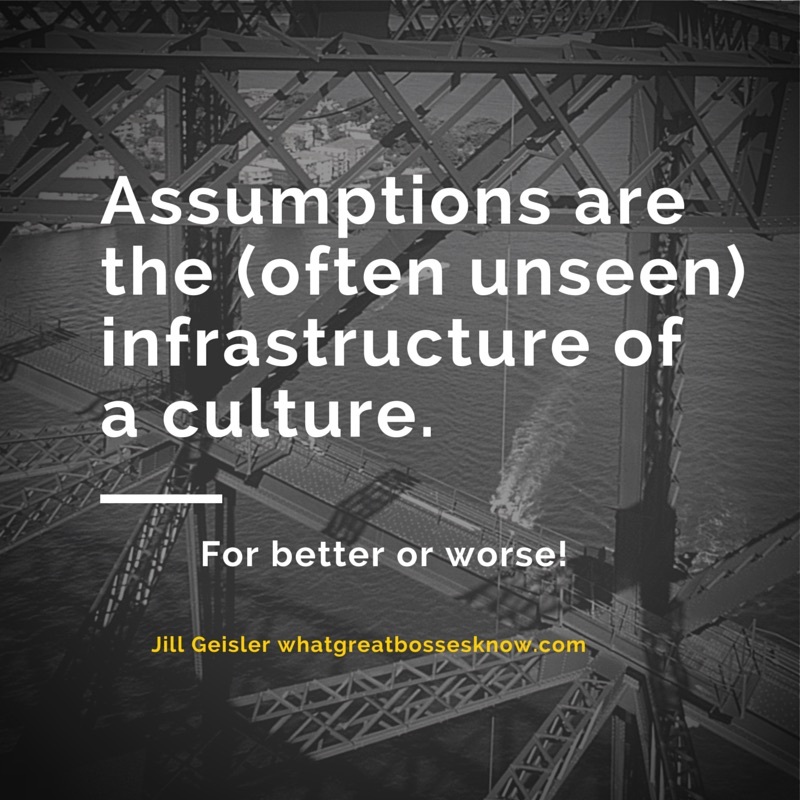 It's those assumptions, which are like the hidden part of an iceberg, that are the foundation of the culture, and often hardest to identify and change. Assumptions are beliefs so commonly shared that people don't even talk about them -- they just act on them. It's what new employees encounter when they think they know an organization -- after all, they heard about its values, goals and products in the hiring and orientation process -- and then discover things that are a way of life, but were never mentioned. Like: "Never turn down an overtime assignment or you'll be seen as a low performer." Or: "The Finance department is especially powerful here. Line managers tread very carefully around those folks." Or: "Lots of company decisions and relationships evolve on golf courses." 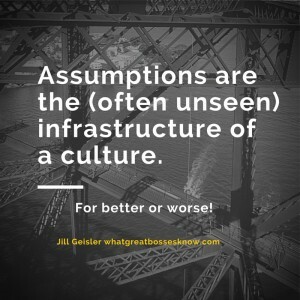 Unless you surface the many assumptions in organizations, ask why they exist and if they still should -- and people are willing to have those conversations -- then culture will remain at status quo. 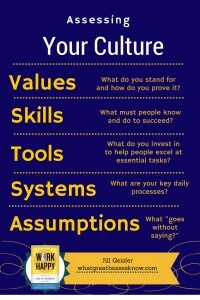 Feel free to use my infographic as a checklist to assess your organization's culture. 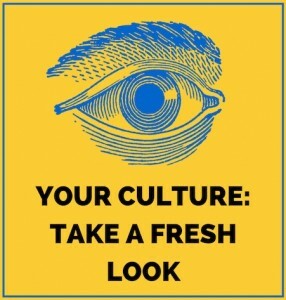 First, ask yourself what it is you WANT your culture to be: entrepreneurial, innovative, customer-centric, social media-friendly, diverse, ethical, collaborative, nimble - you get the picture. Take any of those and then go down the list of cultural elements. 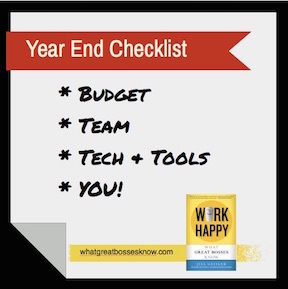 Ask yourself and your team lots of questions about each of those categories. For an even more effective exercise, put people into small groups to go over the list, then see how consistent the answers are. It will be a good indication of the strength of your culture, for better or worse. It will give you guidance on what you need to do to make certain your strategy and your culture join each other for breakfast every day! 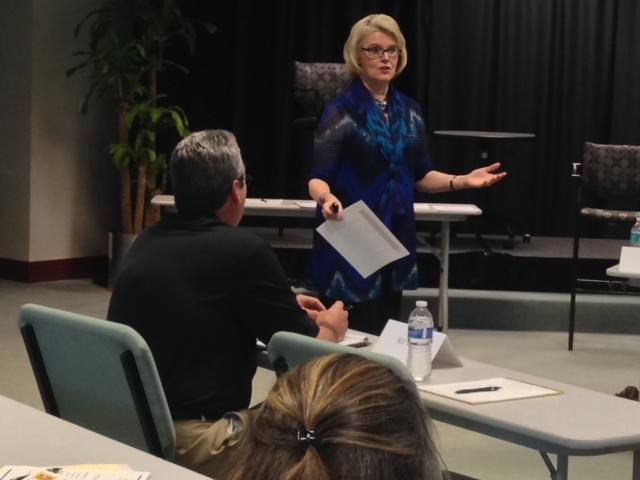 What’s in a Successful Leadership Workshop? After years of creating and delivering workshops for aspiring leaders, I've had the opportunity to understand what participants really value. First and foremost, I know what they don't want: a canned presentation filled with management-speak or obtuse rhetoric that fails to connect with their daily reality. That's why it's essential for those of us who care about leadership development to custom tailor our teaching to the people in the room. We need to understand their goals and challenges. I have long believed (and written) that leadership is personal, so it stands to reason that leadership workshops can't be cold, academic and impersonal events. One of the most important things I've learned in recent years, however, is the need to "teach in the moment." Often, I work with an organization to analyze what's working best, as a way to show people how successes can be deconstructed to show the assumptions, values and choices behind them, and how to apply that knowledge to other goals and challenges in the workplace. 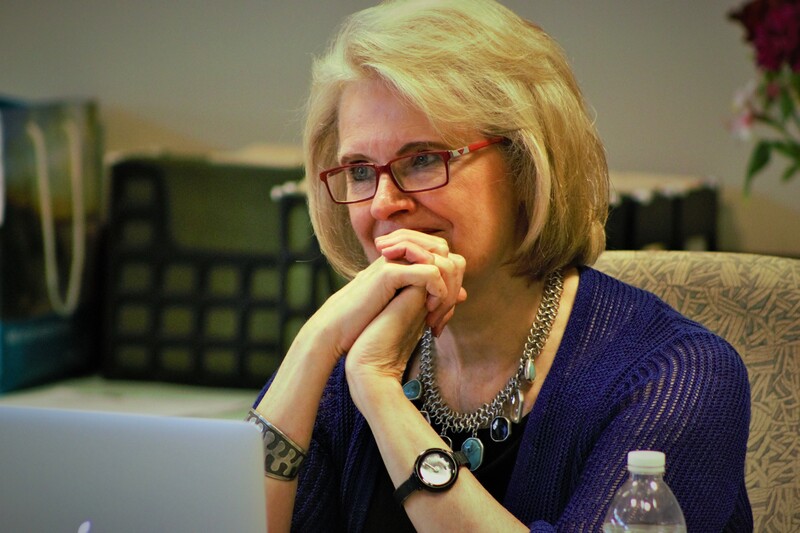 That kind of meaningful conversation and teaching doesn't happen if a workshop leader just drops in with a few already prepared teaching pieces. You need to build a special framework for a focused discussion that then leads to interactive and on-point teaching. It's what I love best about my work: helping aspiring leaders build on what works and discover ideas to address their personal and organizational challenges. I'm enlisting the help of MY boss, Tugboat, to wish you a wonderful New Year. Why share a picture of my dog, other than for a smile? Well, there's actually a leadership lesson in it. I have found that it is the simplest of human connections - the sharing of family stories, or hobbies, or pet tales, that provide common ground for people to work better together. When leaders take the time to show more of their whole, authentic selves, it helps people put the things they say and do into better context. Some managers believe in keeping their distance from staff, never revealing much about their personal lives. They think being enigmatic adds to their power. I think it detracts. You need not be everyone's best friend as a boss. That's not possible. But you can be open, human and real. 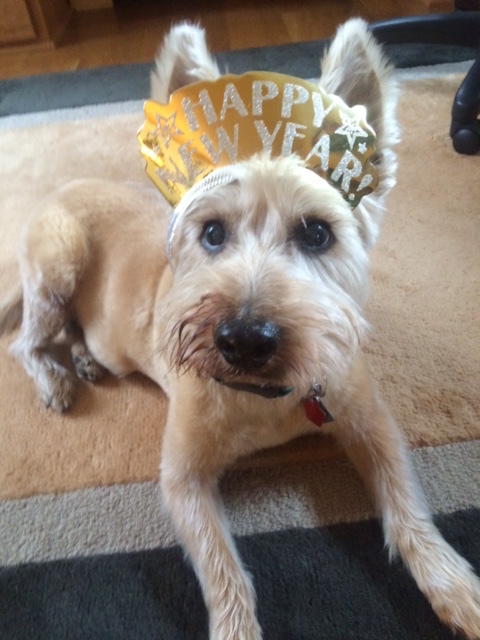 So, from the aging pup who is always nearby when I'm working in my home office -- and from me, may 2015 be your best year yet! I love working with people who aspire to be true leaders. Many of them are already managers, but others are people who may never carry an official title, yet develop exceptional influence. After years in their company, I've learned a few things about leadership that I'd like to share with you. It's a good way to lead into a new year, thinking ahead to how these principles might affect your quest to learn, grow, and lead. 1. Leadership can be learned. It is not some magical gift you are born with. 2. Leadership is the combined force of skills and values. 3. You can lead from wherever you are. 4. Leadership style is defined by the behaviors you choose to use most often- and the best leaders understand when to change those behaviors. 5. Leadership is ultimately determined by those who choose to follow you. 6. The best leaders read people and situations accurately and respond in ways that improve the status quo. 7. Leaders absorb shock, pain and discomfort of others, often without others even knowing it. 8. It is harder for a tough leader to learn empathy than for a compassionate leader to learn toughness -- but it's possible. 9. Leadership and integrity are inseparable. 10. True leaders know when to be followers and for that reason, there are never enough leaders. 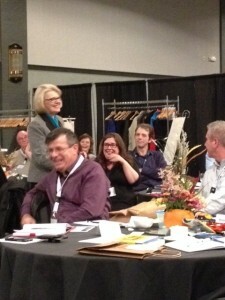 As you can see from this photo, while I take leadership very seriously, I think teaching and learning it should be fun. 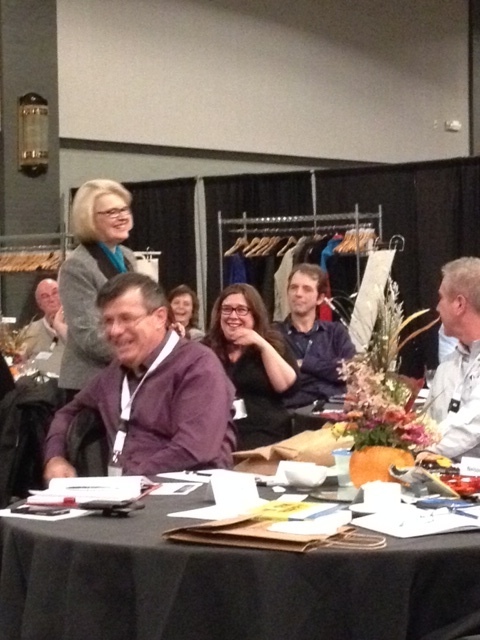 Laughter is a great tool for any leader, especially when leaders learn to laugh at themselves! In the year ahead, I wish you every personal and professional happiness. 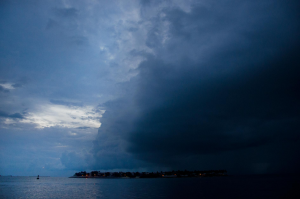 Beginning in 2015, my status at the Poynter Institute changes from senior faculty to affiliate faculty, so I can focus more on my consulting and coaching in organizations. It's the best of both worlds. You can still find my podcasts on iTunes U, my regular postings here, and my daily curated leadership insights on the Work Happy: What Great Bosses Know Facebook page. I know you are looking ahead to the holiday break and I'm sure you've earned that down time! But you'll rest easier if you know you've buttoned things up perfectly before the year ends. There are always a few things you can do now that will make the year ahead even better. That's why I put together a quick list of tips for you in my latest column for Poynter.org. All you have to do is click on this link to read the column. Then check off the items as you complete them. After that, just have a wonderful holiday season. And may your work be even happier in 2015! 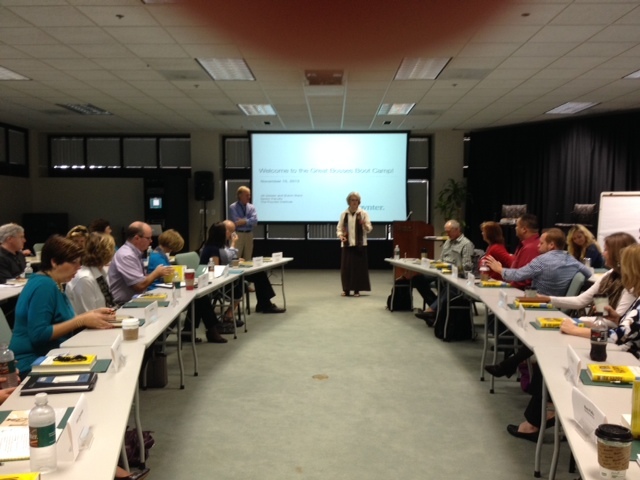 VMware, a tech leader in Silicon Valley, has 16,000 employees throughout the world. As part of the company's commitment to leadership development, they've set up a call-in show with me on December 16th. The concept is simple. Twice on that day, interested managers will simply call in to a master number and we'll chat about their leadership joys and challenges. We're calling it "Boss Talk," as you can see from the invitation sent companywide. Our focus is collaboration and conflict resolution. I'm really looking forward to talking with VMware's team. Some will be dialing in from the beautiful Palo Alto campus. These photos give you a glimpse of the work environment: Others will be calling in from posts around the world. 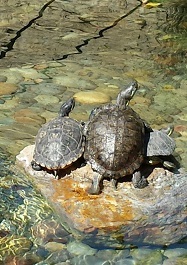 The Palo Alto campus is famous for its turtle pond and its venerable residents. I should point out that I have a mascot, too. 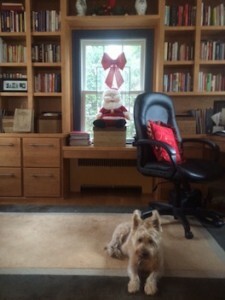 VMware turtles, meet Mr.Tugboat, who thinks my home office is really his. Tugger's a smart old fellow, but he won't be offering advice during the VMware "Boss Talk" call-in show. He's delegating that work to me. I spend a good amount of time helping organizations of all kinds -- from medicine to law to education to media -- manage the change brought about by disruptive technology and changing consumer demands. 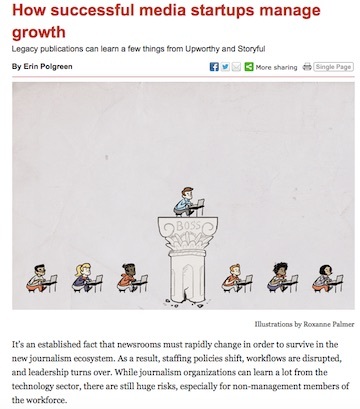 I was interviewed for this article in the Columbia Journalism Review, which looked at how startups are approaching change -- and the lessons they can teach all of us. If you'd like to read the article by Erin Polgreen, just click here. It's worth it just to see the cool animated illustration at the top! I'm happy to share this news. 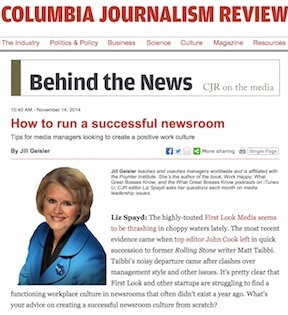 I've accepted an invitation from the Columbia Journalism Review to do a monthly column on leadership and management issues. 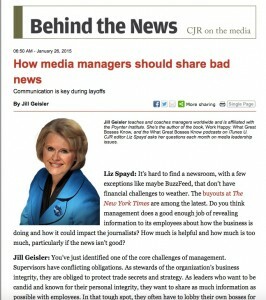 The editor, Liz Spayd, poses questions to me and I provide advice. 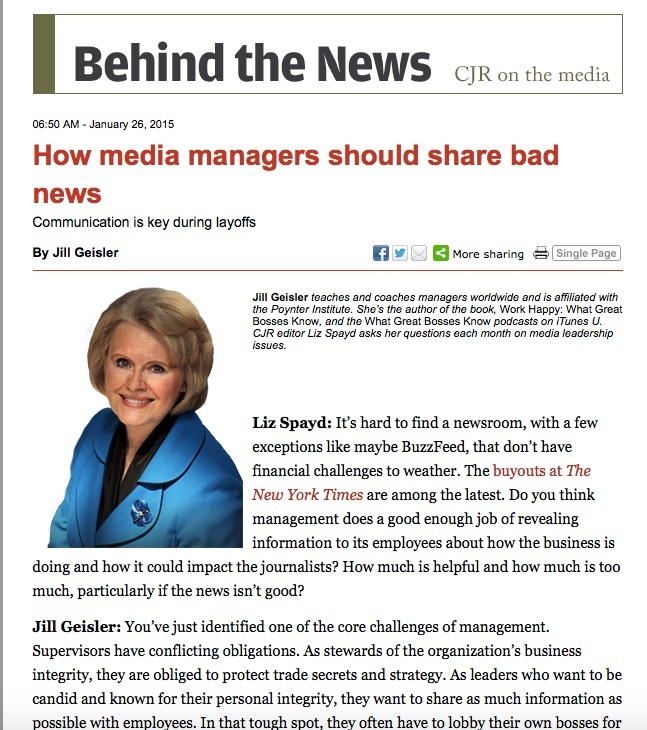 Here's the interesting thing: Although the publication is written about journalism and the audience is people who are interested in media issues, the management issues are universal. For example, check out the first column. Liz's questions focus on startup cultures, integrating staff with new technical talent into a traditional team, and whether charisma can be taught or learned. You can click here to go directly to the column. 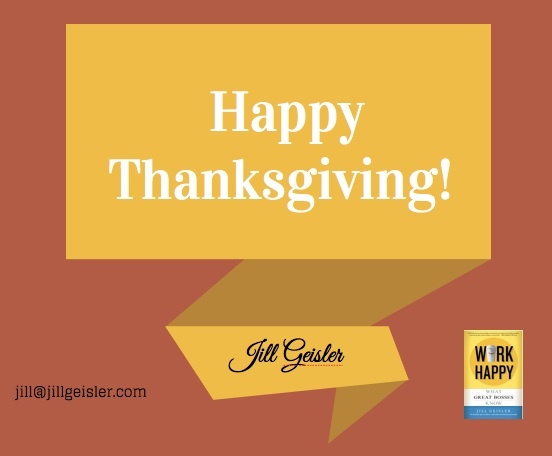 I’m Thankful for Leaders – and Readers! Join Me on the Work Happy Facebook Page – for Daily News! 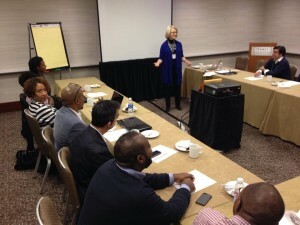 Jill Geisler’s New Podcast for Leaders on iTunes U!